This is a high-quality brushless PTZ control panel, chips are original chip, increase the supply anti-reverse polarity protection, counter-power to prevent customers from unintentional indirect cause significant damage. 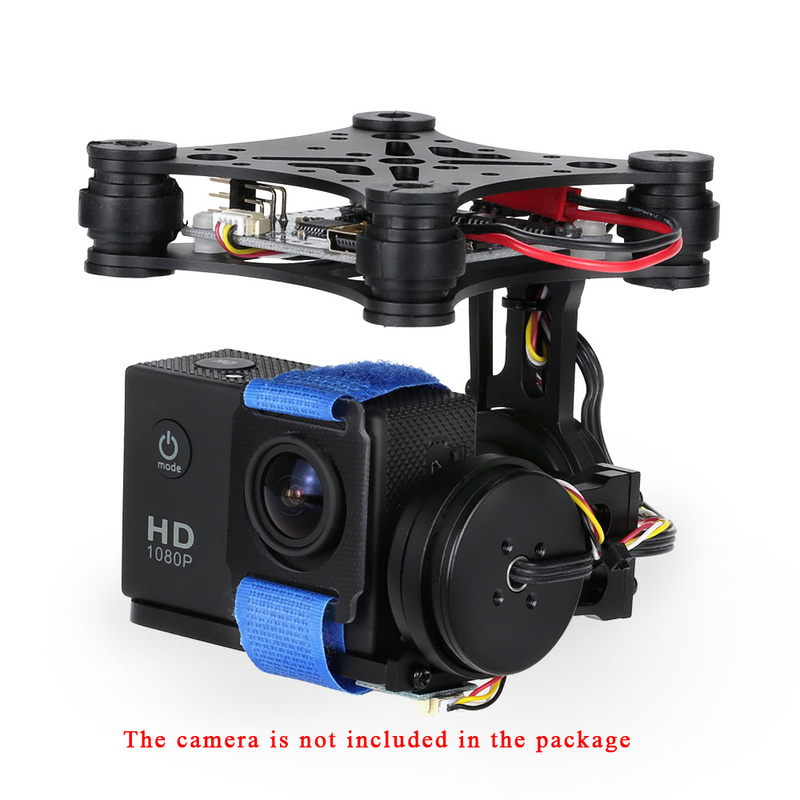 Note: Compatible camera should be installed before the gimbal electricity.Lift the gimbal vertically to make the motor not contact with anything such as the table,if not the gimbal will shake around,even burn itself up. 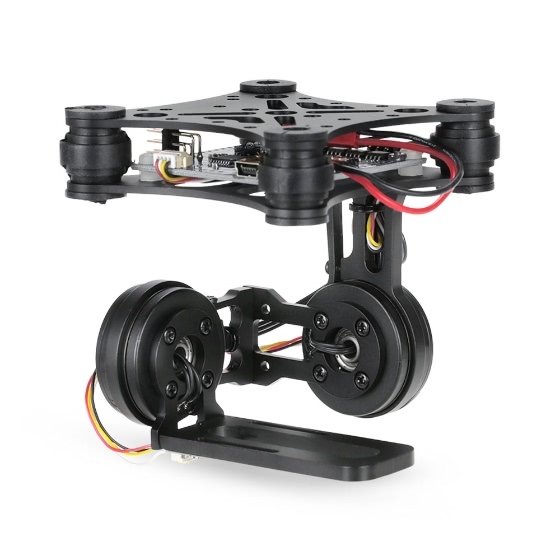 Q Wat Controler is in this Gimbal? It is compatibel with Software GUI: SimpleBGC_GUI_2_2b2? Thanx! 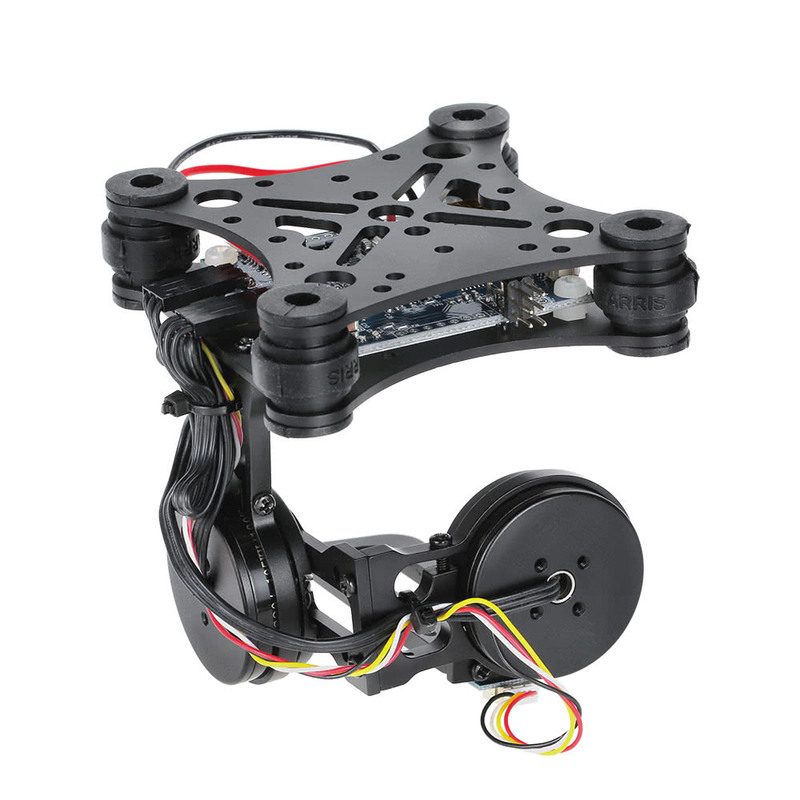 A Wat Controler is not in this Gimbal, it does not support Software GUI: SimpleBGC_GUI_2_2b2,thanks. 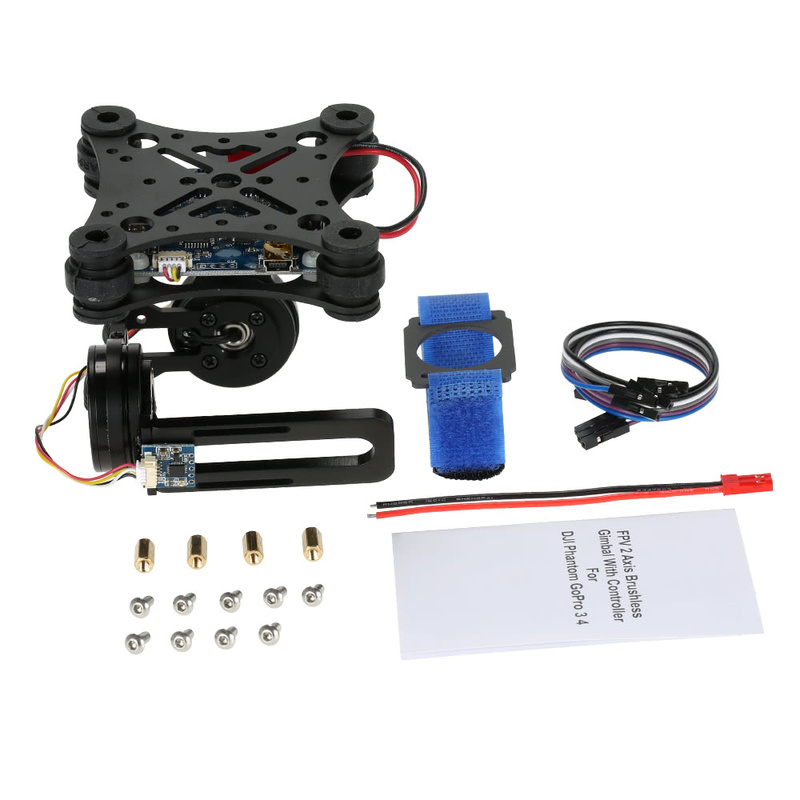 Q What voltage is required to drive the gimbal? A Supply voltage: 3S battery or 12V. Will this work for the Gopro Hero 5 Black? For the cost, its worth the try. 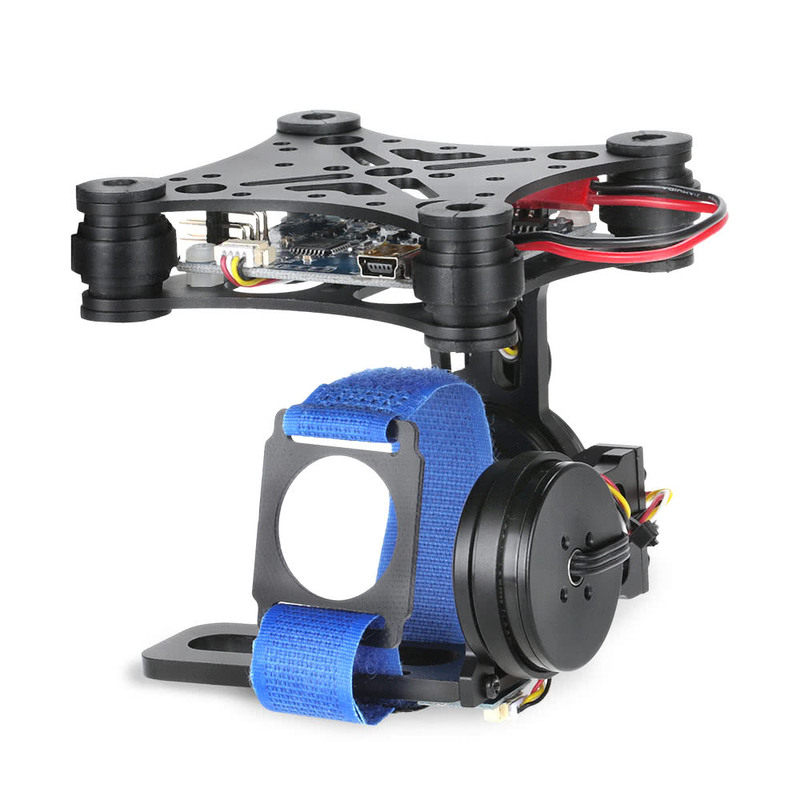 Does this gimbal includes the motors? Yes. The gimbal is complete and ready for camera and power. 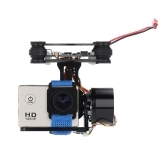 So all I need is a monitor/googles to get the fpv view? 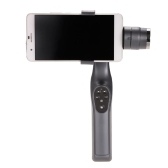 This is only a gimbal. 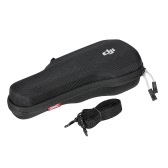 You would still need a camera, video transmitter and reciever. 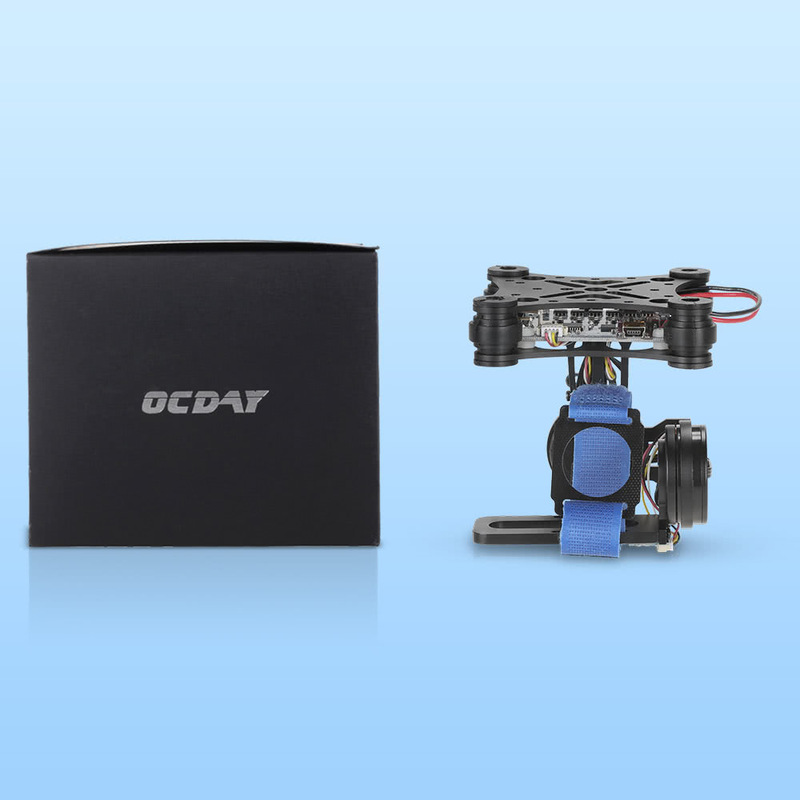 This is difficult to answer and depends on too many factors including camera weight, flying style and battery size. 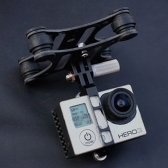 Deos it work for other gopro size cameras? Ordered Tuesday. Arrived Friday. Fast delivery. No problems. Thanks!